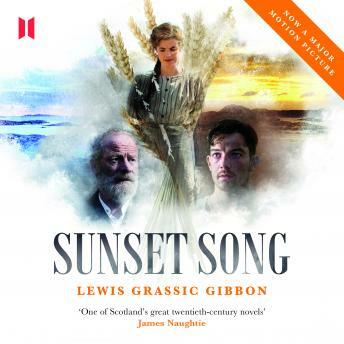 The most acclaimed Scottish novel of all time, Sunset Song is a powerful portrait of a land and people in turmoil, seen through the life and struggles of its heroine Chris Guthrie. In the years up to and beyond the First World War, Chris's resilience, like the land itself, endures despite everything, and is portrayed with a lyrical intensity that echoes through the years and still resonates today. So sad I have finished listening to this. I have memories of this story from my teens but am not sure it was the book I read or the TV series I saw, but to dwell on the story through this narration has been just beautiful. I have listened at home, on my bike ride to work and while walking. The narrator has such a beautiful voice and accent and pace and I have felt like I was sitting by the fire with her as she told the story. The slow start to the story gives no clues as to where it is going but you suddenly find yourself embroiled in the lives of the people of Kinraddy. The way we end up inside Chris' head left me breathless at times. Sometimes I found myself drifting from the details of the story as I was enthralled by the sheer beauty of the words, the poetry of them, and the things unsaid. I found myself turning up at work, getting off my bike in a dreamlike state and struggling to leave the world of Kinraddy behind. And I don't think I have ever wept over a chapter as I wept today as the story came to a head. And the narration, well that was fine. I will save this book and listen to it again and savour every moment of the sounds and story and feelings.